When shown on an organizational map, the personalities of the employees in a modern optical dispensary indicate the key behaviors that make up each person’s role. By looking at how each of those roles interacts with the dispensary’s leaders, with one another and with clients, it is possible to create a “people” strategy designed to drive sales and growth. One of the products I use in my consulting practice is the Predictive Index® or PI®, a scientifically validated behavioural tool with 55 years of history and an Ivy League pedigree. Interviews and resumes can only tell the employer how a candidate presents him/her self. The PI assessment penetrates that veneer and illustrates each employee’s core behaviours under stress. The PI also breaks down social perceptions and helps us get into each person’s “world” by fostering self-awareness. Below is a sample PI of the leader of an eyecare practice who has been in business for over 10 years; the business generates revenues of $650,000 per year. The PI philosophy is based on knowledge transfer. After training, the leader will understand that she has a hard time saying no to people. She is socially poised and likeable, with strong presentation skills and connects quickly with others. She is also persistent and will grow the business by leveraging relationships, while struggling with details, as well as, the process and operations side of the business. The next step is to determine the PI of the store manager. It indicates an assertive person who is thoughtful and reflective and shares the leader’s sense of urgency about achieving results; the manager is also driven by a strong detail orientation and is challenged to delegate authority. This person is task-oriented and motivated by goal achievement, and will take on the “tough” decisions, which allows the leader to focus on promoting the business and connecting with clients. Now the leadership can understand the rest of the team. The optician’s PI will reveal why that person perceives the leadership (which has an urgency about achieving results) as disorganized. She is naturally systematic/methodical and has a completely opposite approach to the job. Her unassuming nature indicates that systems and checklists will help her function well with her peers. She is socially driven and enjoys public interaction and recognition. The receptionist, who has a PI® similar to that of the leader, will be optimistic and positive in her communications style. The manager will coach her to protect the company from risk by having systems in place that provide specific direction and protocol. The administrative assistant’s PI discloses an unassuming, private, methodical person with exacting standards. A sequential processor, driven by details, she will be frustrated by her perception of everyone’s lack of attention to detail. She will work steadily, patiently and alone to protect the company from risk. She is best motivated by private recognition and encouragement. This is just a glimpse of the power of the scientifically driven data management model and the decisions, coaching and strategy that can be developed when you invest in learning what motivates your people. PI also tells you how much capacity people have to absorb stress, their level of engagement and decision-making style. 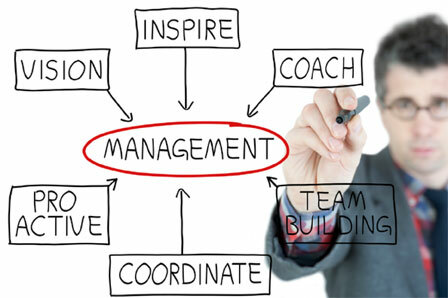 Visionary leaders can align their business strategies to their people strategies by investing in their human capital. Through the use of PI as an executive management tool (to make data-driven people decisions), a leader will learn how to design her message so it resonates with each team member and she understands the reactions and responses of her team, thus helping employees to become the best possible versions of themselves within the context of their jobs.